Picking up from where we were left with our search for the Sweetest Gems in Nicosia Part I, I am sharing the rest of the tips and hidden gems in the capital. Basically everything that a “horaitis” (“χωραϊτης”), should know, and any visitor should find out! If you haven’t tried the chocolate cake from Noufaro, you don’t know what you are missing. It is not the modern and “innovative” taste a chocolate cake from Pralina confectionery might have, but rather a purer taste, and in fact my first memory of what chocolate tasted like: rich, sweet and slightly bitter, spongy and at the same time moist…a chocolate overload! Rumour has it that their meringue and “galaktoboureko” (milk cream pastry with filo), are also good but I haven’t tried them. 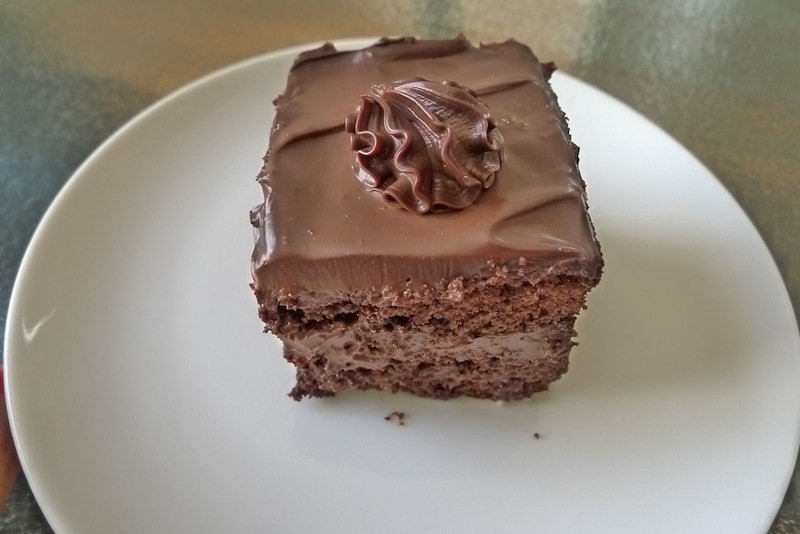 Similar to the dark chocolate cake from Noufaro is the one from Gardenia confectionery, a very old school confectionery on Markou Drakou street in Pallouriotissa. Speaking of chocolate and Pralina confectionery, even though their cakes were and still are quite popular (especially the hazelnut one), they will always be famous for their small chocolate boxes. Even though they are not what they used to be and are somewhat pricey, they are still worth the try. Something that I used to absolutely love as a child and I am not sure I would now are the home made profiterole cakes from Leonie on Nikis avenue. Unfortunately I can’t find her now, but if any of you know where she is it would be interesting to try them as an adult. As I am left with no choice, I have substituted her profiteroles with the ones at Milk Bar (Limassol) that are quite good (especially if you ask for extra chocolate). I have talked about “tahinopitta” from “Pharos” last time, but I barely mentioned tahinopita, (seed paste pastry), from another favourite place: Kalopesas. 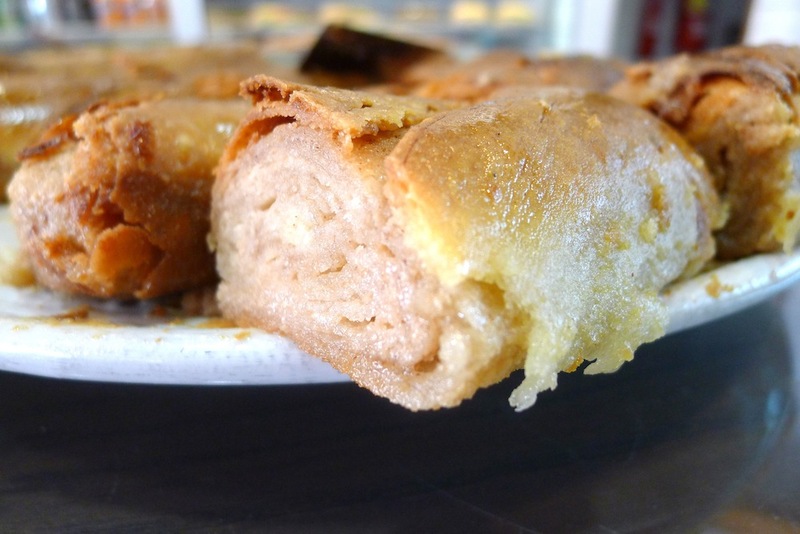 Although different to the one at Pharos, if you like sweet, moist, soft and a full of flavour “tahinopitta” that looks more like a cake rather than a pastry, you should try it now! It is one of the few cakes for which, when I have a craving I get up and drive there just to get one. With the orthodox Easter coming up the “tsoureki”, (Greek brioche), search will begin. Don’t try looking too hard, apart from a few good ones around, the one you have to try is from Agapitos confecioneries, straight from Thessaloniki. The truth is the rest of their cakes and products are a bit too sw eet and syrup-y for my taste buds but their “tsoureki” is very good (try the one with “kastano” (chestnut) and chocolate). I also found another confectionery/patisserie from Thessaloniki in Limassol on Agias Zonis street that I can’t wait to try! 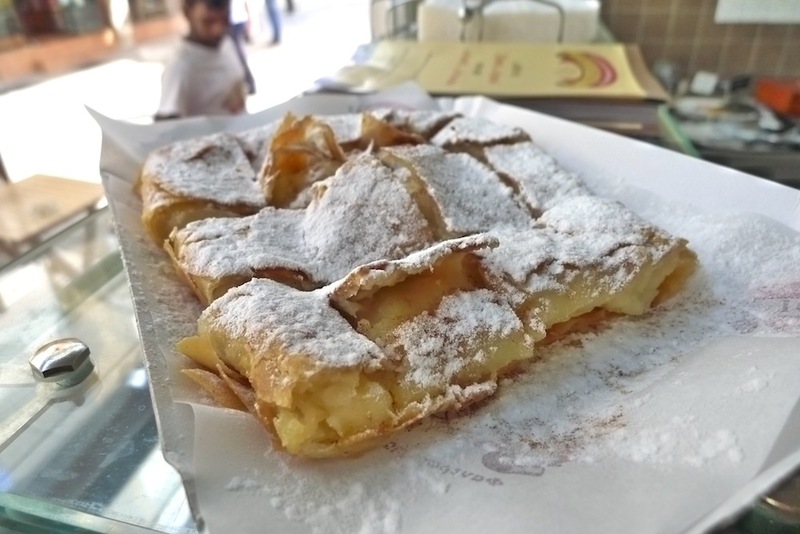 The Greek sweet lovers should also try the “trigona panoramatos” (filo pastry with a creamy and filling and sugar syrup), from Giagia Victoria now with a brand new shop in Agios Dometios, with a generous amount of soft cream and a crunchy filo pastry. 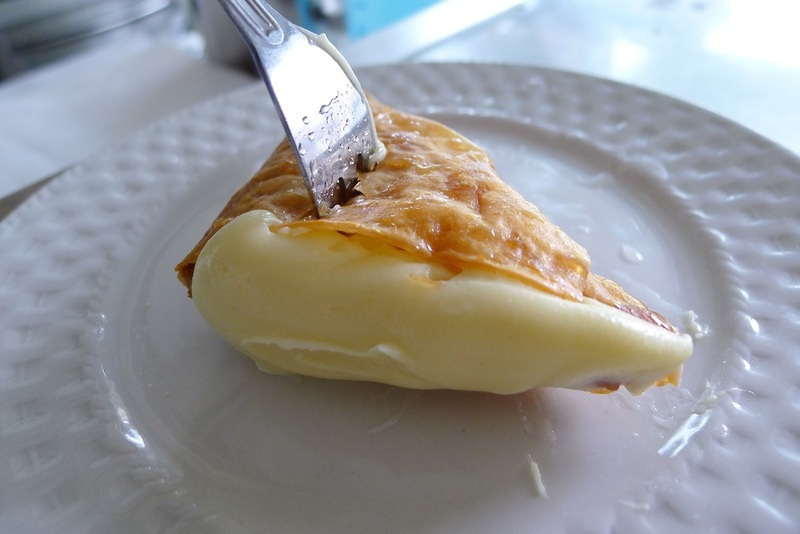 The sweet (and savoury) “mpougatsa” (filo pastry with sweet cream or savoury filling) from the heart of “mpougatsa” in Greece in Serres, Serreiki Mpougatsa (picture attached), is a must-try. It works as a coffee shop as well so you can have a morning coffee with a hot and extra soft pastry. Finally something international but worth mentioning are the Lebanese bites of heaven from Lazeez, a recently open shop on Spyrou Kyprianou street in the centre of Nicosia. 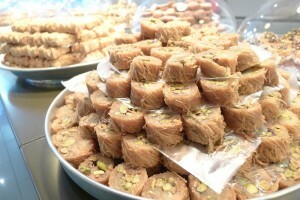 If you like Lebanese sweets this is a huge must-try! In fact they are also ideal to maintain your weight during the Lent fasting season!